On a recent Saturday I awoke to find a text message waiting. It was a question, accompanied by a photo of feathers and bones on the ground. “What bird did this used to be?” the person asked. An interesting start to the day! Being known as a “bird guy” is both a blessing and a curse. As I’ve said before, I’m just a birder, not an ornithologist. Ask me anything, but there’s a good chance I’ll have to go look it up, or consult with a more knowledgeable birder (no problem finding those). It’s all good. One of the best things about birding is the learning process. It never ends, and hardly a day goes by that I don’t pull a book off the shelf or go online. It’s easier than ever to find answers to bird questions—my own and the ones people ask me. There is one question, though, that cannot be answered in a book or on a website. It’s way too personal for that. Picking just one is next to impossible for most birdwatchers. There are, after all, about 10,000 species in the world to choose from. Peterson’s nickname, in fact, was King Penguin, and he made many trips to Antarctica. But see what I mean about choosing a single favorite bird? It’s still a deliciously fun question to ponder. And if picking one favorite bird is too stressful, how about your top 10? We birders are good at making lists. My favorite bird, on most days, is the red-headed woodpecker. I like everything about it, even its perfectly descriptive name. I like its regal colors and the way it flycatches, unique for a woodpecker. I also appreciate that I can see this bird where I work—a claim, unfortunately, that few people in DuPage can make. 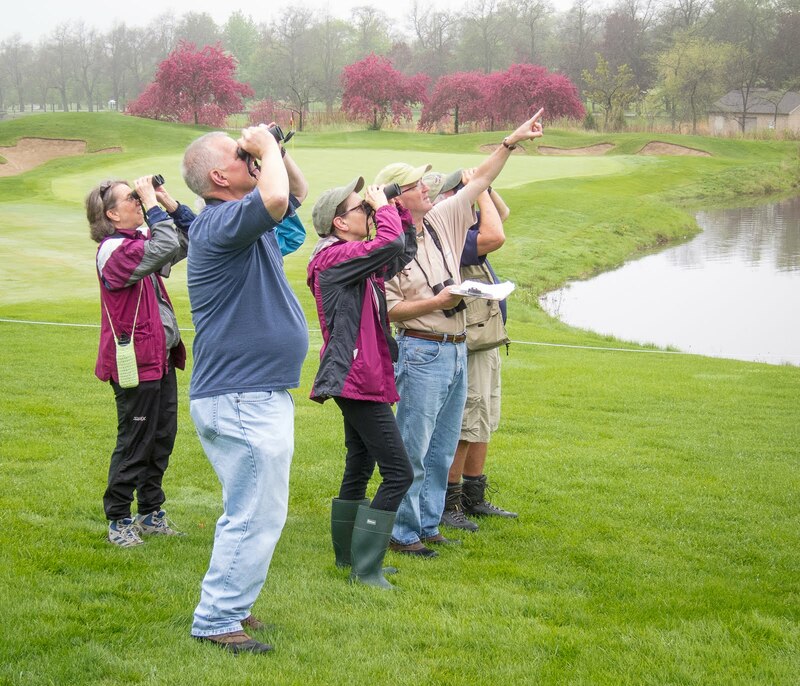 Spotting a red-headed woodpecker is always a great moment on the Cantigny Park bird walks. Watching them never gets old. 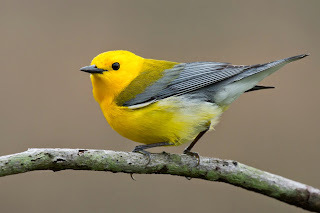 I could easily make a case for the hooded warbler because it reignited my interest in birds back in 1994. It happened at Kiawah Island, South Carolina. I didn’t know what I’d seen until later that day but that’s part of what got me hooked—the process and satisfaction of putting a name to a bird. Maybe, just maybe, you’ve only seen your favorite bird once. Yes, once. I think of the elegant trogon at Madera Canyon, near Tucson—probably the most spectacular (and elusive) bird I’ve ever witnessed. I was lucky that day. This game has no rules. You can change your mind tomorrow. You can even pick a favorite bird you’ve never seen before. It will inspire you to go find it. I daydream all the time about spotting a resplendent quetzal in Costa Rica. Milestone sightings can produce favorite birds, too. Varied thrush, No. 500 on my life list, will always be special. So will common yellowthroat, my 100th yard bird. Of course, a favorite bird needn’t be momentous. A backyard regular will do just fine. Plenty of birders and casual watchers alike would gladly claim the northern cardinal or black-capped chickadee. Great choices! Choosing favorite birds is fun. But the exercise has some practical value, too: it’s a great conversation starter. People who don’t consider themselves birders sometimes have a favorite bird. These are often the same people who ask me those hard-to-answer bird questions. Kids, in particular, are usually eager to announce their favorite birds, even if they’ve never gone birdwatching. It might be “owls” or “hummingbirds” or something specific like a peregrine falcon. Eagles get a lot of love, too, and not just from youngsters. Got a favorite? Tell me your story.